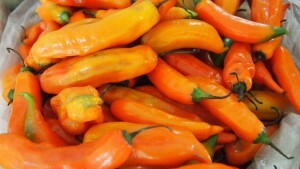 Fresh aji amarillo at a market in Peru. Another possibility for a DIY cook with a green thumb is to grow your own peppers. The seeds are available online at Reimer Seeds.